I bought this lip gloss. Lip gloss is actually Latin for "I abhor wearing make-up, and wearing this makes me feel spritely and not so near death." 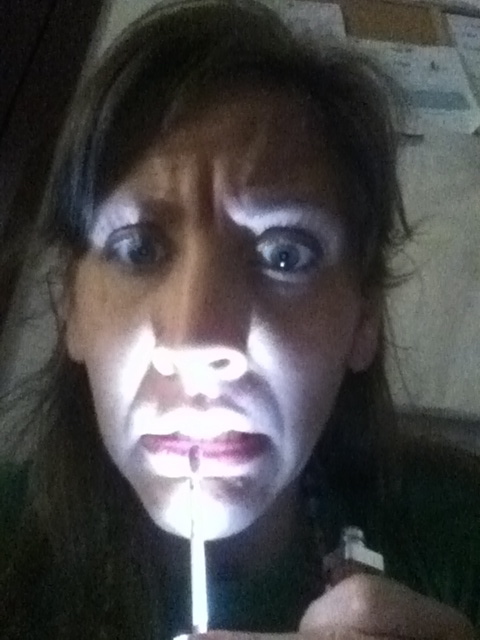 When I first opened the lip gloss, a light came streaming across my face and almost poked my eye out. It also made my head look like Andre the Giant. Apart from applying lip gloss in the Bat Cave or when stuck in the elevator with 25 sweaty cabinet installers, I'm not sure why you'd need lip gloss that glows. Many of the people we love who live within 20 miles of us moved this week. I hate good-byes. I loathe good-byes. 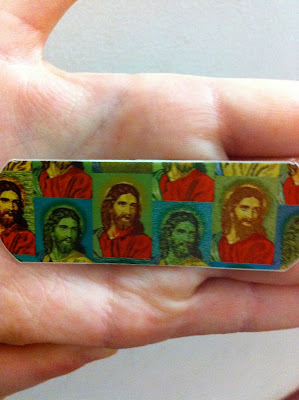 But thankfully my friend Kristen gifted our family with a few Jesus bandaids. "For my hand and my heart." That's the motto we gave these at dinner. I like the psychedelic take on the Creator of the Universe. Not such a big fan of Him looking incredibly Caucasian. I realize it's just a bandaid, but the whole white Jesus thing has got to stop somewhere. These bandaids were applied to not-so-bleeding-but-mommy-I-need-a-bandaid type wounds. And now I'm back to using scotch tape and toilet paper because again, I am out of bandaids. Am I the only one who seems to never have these in stock? Probably. And then finally comes the sheep placenta lotion. The great thing about friends moving is they load all their unwanted stuff at your house. Like an enormous bag of sesame seeds and one cup of flour. I voluntarily took this Australian sheep placenta lotion because I had made fun of it previously and now wanted to try it. 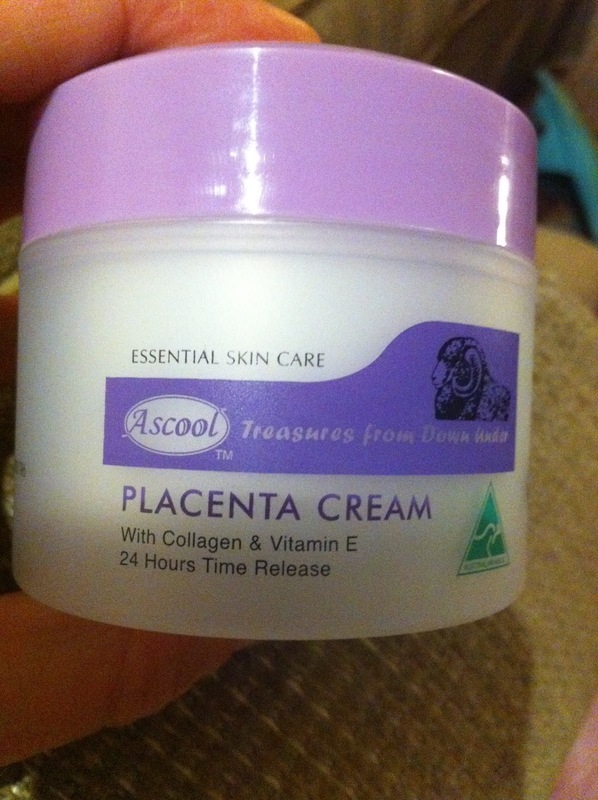 Don't we all, at some point in our lives, make fun of sheep placenta lotion? I thought so. I have to admit, I'm digging' this lotion. I don't know exactly what's in it, but I'm an "ignorance is bliss" type of gal. I don't want to know what the restaurant kitchen looks like, just bring me the chips and queso. I've always been that girl. I'm not sure what is actually releasing in that "24 Hour Time Release" period, but continue to enjoy my "Treasures from Down Under." I will say the accidental pun of "Treasures from Down Under" was not lost on me.